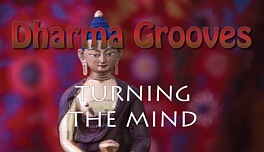 Dharma Grooves and hostt Michael Erlewine present a series of four short videos on learning meditation. The approach is direct and to the point. The four videos may be viewed in any order. 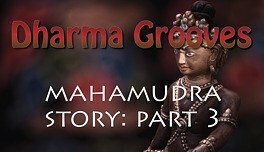 Dharma Grooves and host Michael Erlewine present a series of four short videos on learning meditation. The approach is direct and to the point. The four videos may be viewed in any order. 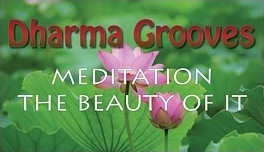 Dharma Grooves with host Michael Erlewine, co-director of Heart Center Meditation present a series of short videos on basic meditation. 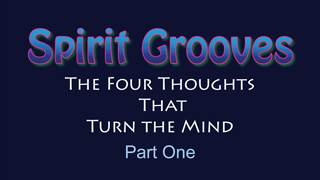 This is Part-1..
Dharma Grooves with host Michael Erlewine, co-director of Heart Center Meditation present a series of short videos on basic meditation. This is Part-2. 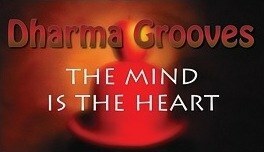 Dharma Grooves with host Michael Erlewine, co-director of Heart Center Meditation present a series of short videos on basic meditation. This is Part-3. Dharma Grooves with host Michael Erlewine, co-director of Heart Center Meditation present a series of short videos on basic meditation. This is Part-4. Dharma Grooves with host Michael Erlewine, co-director of Heart Center Meditation present a series of short videos on basic meditation. This is Part-5. Dharma Grooves with host Michael Erlewine, co-director of Heart Center Meditation present a series of short videos on basic meditation. This is Part-6. "Dharma Grooves" and host Michael Erlewine present, "A Dharma Story," personal experiences with Mahamudra meditation in three parts. This is one person's story of learning to mix meditation technique with day-to-day activities. What is the difference between spiritual experiences and actual realization? This segment of Dharma Grooves looks at this question, with host Michael Erlewine. 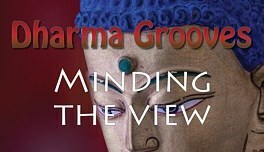 "Dharma Grooves" presents "Minding the View," with host Michael Erlewine, a presentation on meditation practice, with an accent on problems and suggestions for increasing awareness. 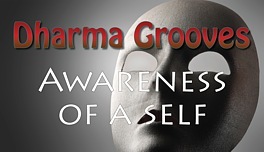 Dharma Grooves with host Michael Erlewine presents "Awareness of a Self" and other topics about becoming more aware through learning to better use our mind. A segment on Mahamudra meditation as regards the Pointing Out Instructions as to the true nature of the mind, what is called "recognition." Not instructions, but the continued story of experiences in learning meditation. 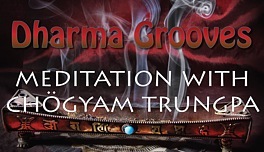 Dharma Grooves with host Michael Erlewine of the Heart Center Meditation Center tells how he met Chögyam Trungpa in 1974, served briefly as his chauffeur, created the poster for his talk in Ann Arbor, Michigan and was taught basic meditation. 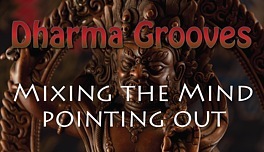 Dharma Grooves and host Michael Erlewine present a discussion of turning the mind away from day-to-day distractions and toward the dharma, and recognizing the true nature of the mind and how it works. "Dharma Grooves" and host Michael Erlewine present a short video on meditation "practice" and actual meditation, two very different things. 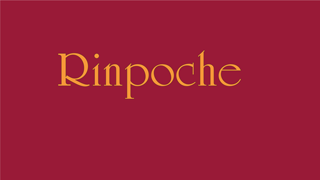 Erlewine is the co-director of the Heart Center KKSG, a Tibetan Buddhist meditation center in Big Rapids, Michigan. Dharma Grooves and host Michael Erlewine present an additional segment on how to combine the techniques of meditation off-the-cushion with whatever work you are already doing. 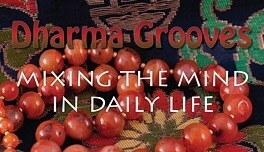 Dharma Grooves and host Michael Erlewine, a video on mixing meditation off-the-cushion with day-to-day tasks. 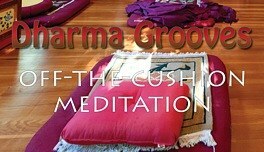 "Dharma Grooves" and host Michael Erlewine present a segment on combining the techniques of meditation off-the-cushion with whatever work you are already doing. 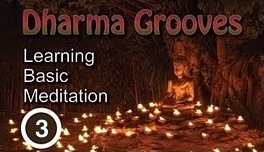 "Dharma Grooves" and host Michael Erlewine present an additional segment on how to combine the techniques of meditation off-the-cushion with whatever work you are already doing. 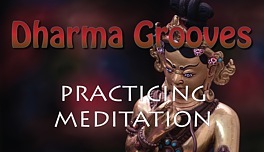 Dharma Grooves and host Michael Erlewine offer a video on practicing meditation off-the-cushion, ways to practice meditation during your regular work day that add up to real results. 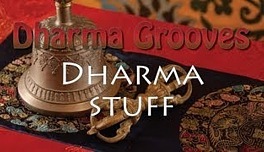 Dharma Grooves with host Michael Erlewine. This segment is on common mistakes that beginning meditators make made clear so others don't have to make them. 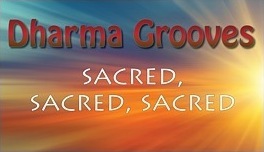 Dharma Grooves and host Michael Erlewine with a segment on accumulating dharma stuff, the trappings of practice while learning meditation. Separating the stuff from the dharma is the theme. 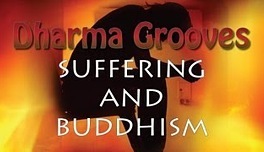 Dharma Grooves and host Michael Erlewine with a segment on the First Noble Truth of Buddhism, the truth of suffering. 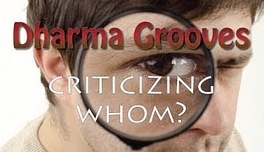 Dharma Grooves and host Michael Erlewine with a segment on personal criticism, criticizing other persons. 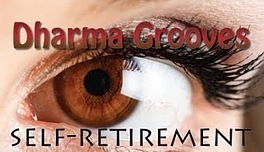 Dharma Grooves and host Michael Erlewine presents a segment on thinning out attachments to the self and learning to transfer your identity to a more stable point of view. 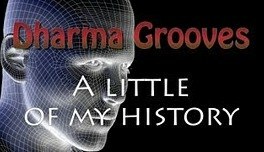 Dharma Grooves and host Michael Erlewine with a segment on Erlewine's own history with learning meditation and the times he came up in, the 1960s and 1970s. There is perhaps no better introduction to Buddhism than then the "Four Thoughts That Turn the Mind to the Dharma," here presented by Spirit Grooves host Michael Erlewine in two parts. One of my trips to Tibet was in the late summer of 1997. One pilgrimage spot that everyone tried to talk me out of going to was the legendary Crystal Cave (Shel Drak) of Guru Rinpoche on Crystal Mountain, a key pilgrimage site for Tibetans, in particular those of the Nyingma Lineage. It is said to represent Guru Rinpoche's Buddha attributes. 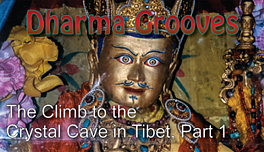 After all, this was Guru Rinpoche's first meditation cave in Tibet. It was here that he bound the demons and Bön influences under oath. Many termas were hidden and revealed here to practitioners like Orgyen Lingpa and others. I felt I had to go there. This is that story. 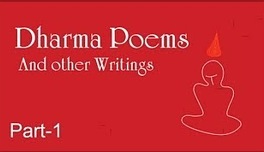 Poems about the dharma and meditation practice, recited by Michael Erlewine, along with some explanation about what the poem is about. 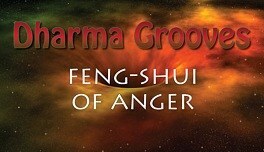 Dharma Grooves and host Michael Erlewine present a video on mental feng-shui, in particular the feng-shui of anger. 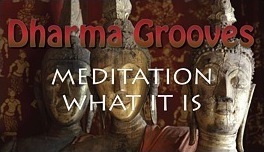 Dharma Grooves and host Michael Erlewine present a segment on combining the techniques of meditation off-the-cushion with whatever work you are already doing. 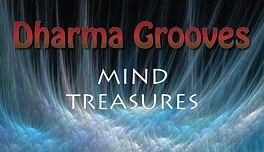 Dharma Grooves and host Michael Erlewine present a video on mind treasures, the Tibetan concept of terma, tertons, and mind terma, finding the treasures of the mind. 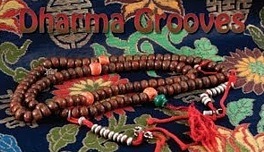 Dharma Grooves and host Michael Erlewine present a segment on Tibetan Prayer Beads (malas) and mantra recitation. It includes the types of malas, the kinds of mala practices (pacification, enriching, magnetising, and destroying(, and much more. 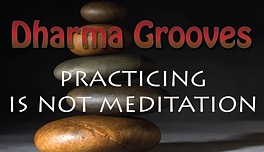 Dharma Grooves and host Michael Erlewine present a discussion of practicing meditation and actually meditating, two quite different things. 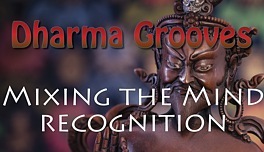 From Dharma Grooves, with host Michael Erlewine, a segment on Mahamudra meditation as regards recognition of the true nature of the mind, what is called "recognition." Not instructions, but the story of experiences in learning meditation. 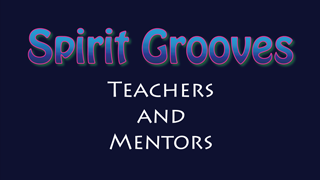 What is the difference between teachers and mentors. 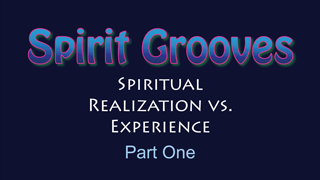 Spirit Grooves host Michael Erlewine weighs in on the topic and tells some life stories along the way.